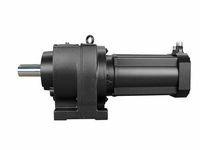 KEB COMBIGEAR G and ZG Helical Geared Motors are available in 2 series and 10 sizes from 0.12 to 45 kW with a 2- and 3-level assembly and drive torques up to 13,000Nm as flange- or foot-mounted versions. A refined speed gradient to a minimum of 1.2 rpm provides optimum torque adjustments on the output side. The universal installation position, life cycle lubrication and minimal backlash ensure long-lasting use. IEC mounting flanges are used to adapt any number of special motors to special requirements. 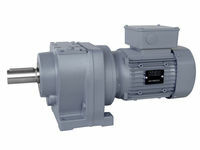 Directly mounted servo motors provide dynamic solutions with especially high effectiveness and compact design forms. All KEB COMBIGEAR can be combined with spring-set brakes, tachometer – and feedback systems and forced ventilation cooling fans (optional).